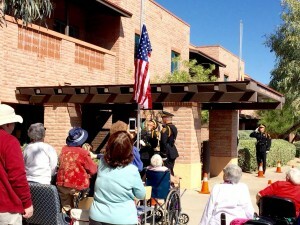 Two flags were raised at Handmaker Assisted Living at the entrance to the Center. 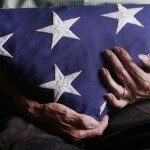 Handmaker Assisted Living never had an American flag flying. Flags for the Flagless roped the poles, bought the pulleys and purchased one new American flag and one new Arizona flag. We want to thanks TPD Honor Guard for being a part of this historic event. TUCSON – An American flag that was among hundreds left at memorials for victims of the 2011 Tucson shooting will fly over the home of former Congresswoman Gabrielle Giffords and her husband, former astronaut Mark Kelly. 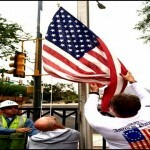 The flag will be presented Friday to Giffords and Kelly by Flags for the Flagless, a local organization started by two Tucson police officers that is dedicated to reviving flag poles that have been abandoned throughout the community. 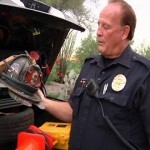 TUCSON – 9/11 is considered by many to be the ‘Kennedy Moment’ of the 21st century. Everyone who lived through that day remembers where they were and what they were doing when they learned the Twin Towers had been attacked. This is especially true for two local police officers. Sept. 11, 2001 was Foley’s first day on the force. TUCSON – Later this week, Americans will remember the morning of September 11th, 2001. It’s been 14 years since the Twin Towers fell in New York City. Nearly 3,000 people were killed that day. For today’s school children, it’s something they will only read and watch videos about. 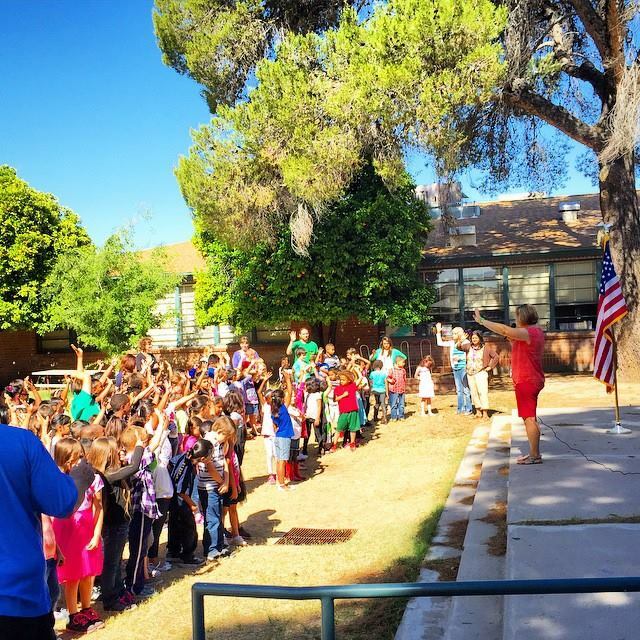 A Tucson police officer is on a journey east, to bring a piece of history and American symbolism back to a Brooklyn elementary school. 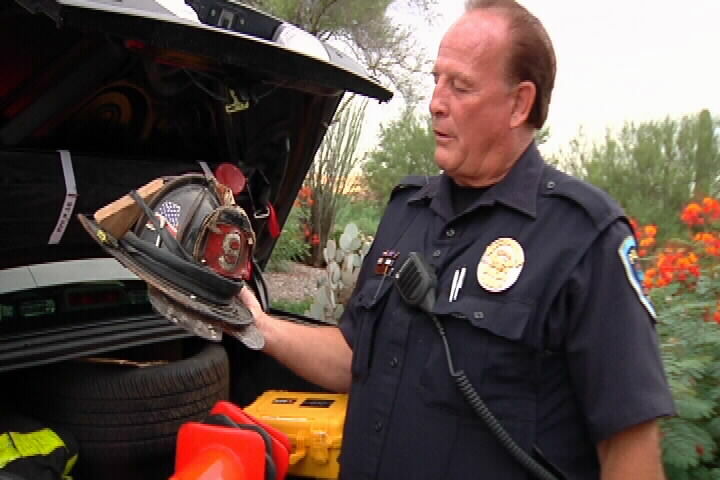 Growing up, the American flag had a special meaning to Tucson Police Officer Charley Foley. 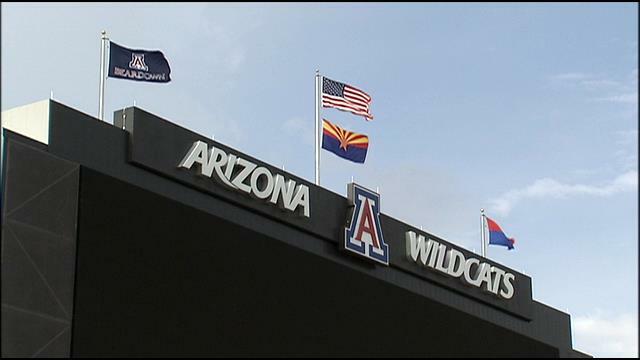 The University of Arizona will fly a different flag at each UA football home game to honor the men and women who served the United States. 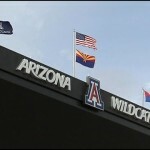 Former Wildcat John Melichar recently donated his father’s internment flag to the organization, Flags for the Flagless. He donated the flag so his father’s courage and sacrifice can be remembered forever. “It feels good to help somebody else get closure to a previous experience or loss of a loved one,” said Melichar. An American flag is being sent to the Emanuel AME Church in South Carolina “to show Tucson’s support and compassion for Charleston” after a mass shooting killed nine church worshippers last month. 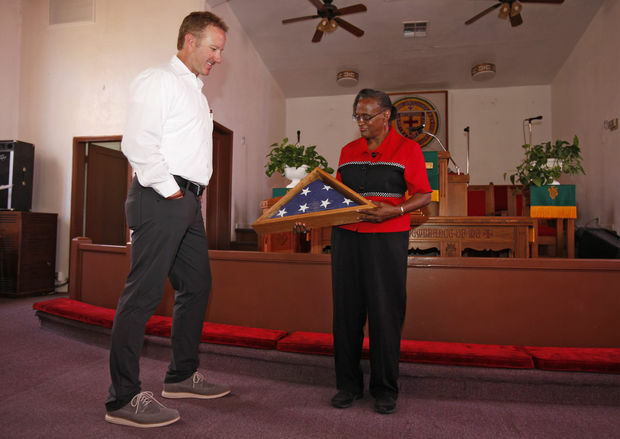 Tucson police Officer Charles Foley presented the flag Friday in a display case to Joann Thompson, a spiritual leader of the local Prince Chapel African Methodist Episcopal Church at 602 S. Stone Ave. In turn, Thompson, will take the flag and present it to members of the Emanuel AME Church during a religious international conference in Charleston in three weeks. 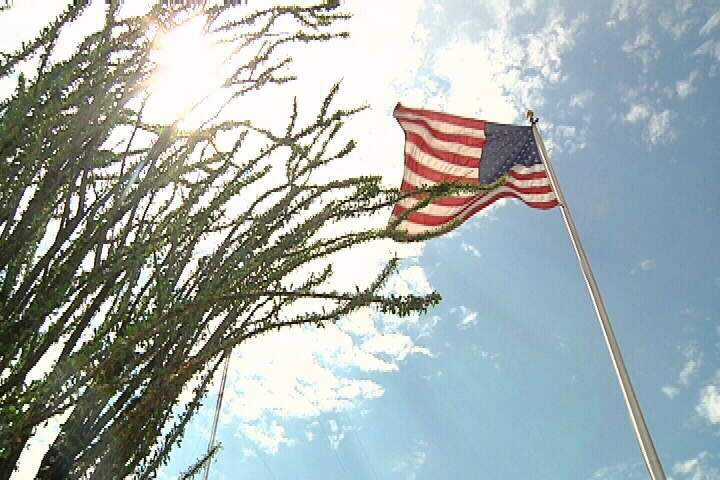 TUCSON – In tribute to the men and women who serve the United States, a local group is helping Tucsonans be more patriotic this Independence Day. 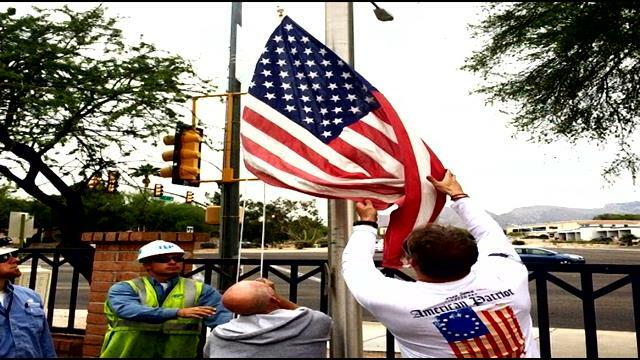 Two residents of the Old Pueblo have made it their mission to re-energize Tucson’s patriotism by giving flags to the flagless. 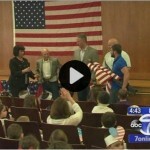 They began their mission last year on Flag Day, taking donated flags and putting them to good use. 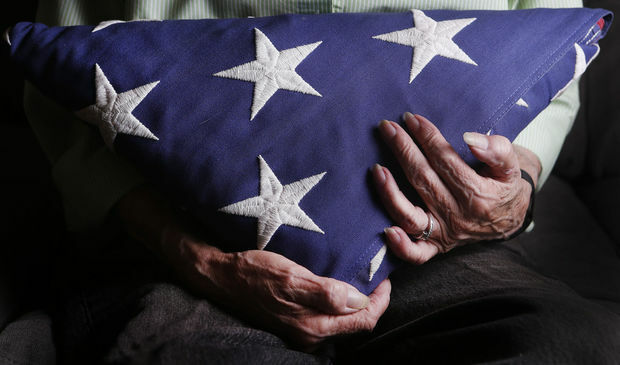 Thirteen interment flags for veterans — most at one time draped over their coffins — will fly over Tucson on Saturday to honor the veterans’ service to America. 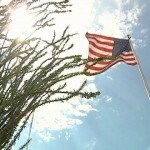 The flags were donated by relatives of the deceased to Flags for the Flagless, a nonprofit organization founded by two Tucson police officers whose mission is to raise Old Glory on barren flagpoles in the city. The organization also gives flags — with donations from businesses and individuals — to schools. Veteran Sigmund Klaussner, who died in 2005 at 73, is one of the 13 whose flag will fly this Fourth of July. 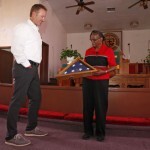 “I want his flag to be flown because he was so proud of his service to his country,” said his sister, Edie Swankie, who donated the flag to the organization. 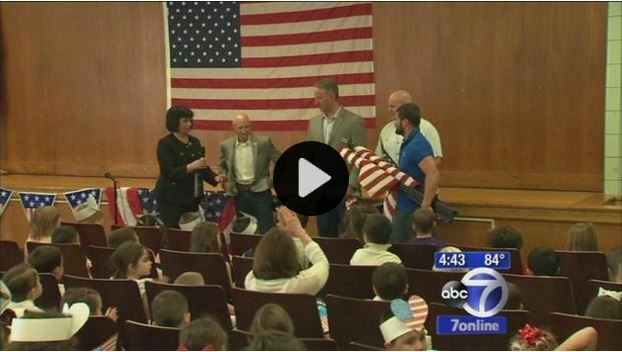 GERRITSEN BEACH (WABC) — A new flag is going up in a classroom at PS 22, Gerritsen Beach School – the flag is the first thing students give their attention to every morning. “It’s a great symbol of our country,” says 2nd grader, Casey Sarubbi. For a school that weathered the storms of Superstorm Sandy, its flags did not do as well. “They were just worn, faded, some of them tattered – probably pretty old flags, you know!” said Charley Foley. TUCSON, AZ (Tucson News Now) – A Tucson nonprofit group will travel more than 2,000 miles to deliver donated American flags for a special Flag Day assembly at a Brooklyn public school. This will be the first national event for Flags for the Flagless ahead of Flag Day and Independence Day. As staff and students continue to pick up the pieces from Hurricane Sandy, a school maintenance worker reached out to Flags for the Flagless. According to the release, 30 donated flags are on the way to the preschool to fifth grade students in New York.